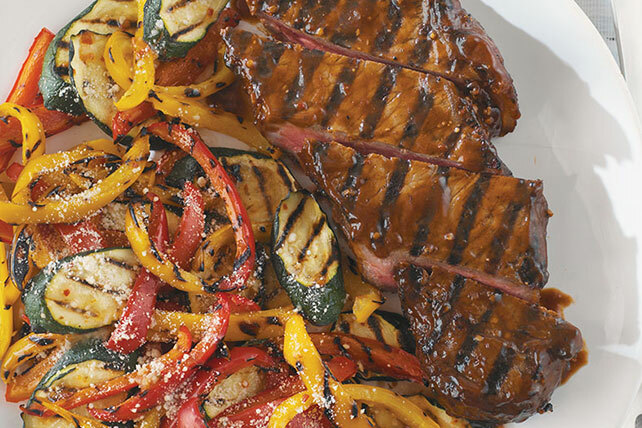 Like all classic bistro fare, this grilled steak is simplicity itself. Marinate 30 minutes in dressing, brush with BBQ sauce, and voila—simplicity! Pour dressing over steak in shallow dish; turn to evenly coat both sides of steak. Refrigerate 30 min. to marinate. Heat grill to medium heat. Remove steak from marinade. Discard marinade. Grill steak 13 to 16 min. or to medium doneness (160°F), turning and brushing occasionally with barbecue sauce for the last few minutes.